Manner of birth: Imam Ali (a.s.) is the first child in the family of Bani-Hashem whose both selfs are children of Hashem. His father Hazrat Abu-Taleb(a.s.) is the son of Hazrat Abdul-Mottaleb(a.s.) the son of Hashem bin Abd-Manaf and his mother is Bibi Fatemah bint-e-Asad(a.s.) who is the son of Hashem bin abd-manaf. The Hashemi family in the tribe of Qoraish is well-known (famous) for its moral virtues and high (supreme) humanistic characteristics among the Arab tribes. Magnanimity, generosity, courage and so many other virtues are characteristics of Bani-hashem. Moreover, each of these virtues at its highest degree exist in Imam Ali’s (a.s.) existence. Bibi Fatemah bint-e-Asad(a.s.) went to the holy Kaaba when in labour pain and came close to the wall of Kaaba and said “O God, I have firm faith in you, the Prophets and the books sent by you and also the speech of my grand father the builder of this house . O God, in consideration to the respect of the one who built this house and for the sake of the child in my womb make the birth of this child easy”. An instant later, in front of the eyes of Hazrat Abbass bin Abdul-Mottaleb(a.s.) and Hazrat Yazeed bin Taaf(r.a.) the south east wall of Kaaba cracked and Bibi Fatemah(a.s.) entered the Kaaba; the wall closed again. She was the guest of Allah(swt) for three days in the holiest place in the universe and there she gave birth to her child – Imam Ali(a.s.). 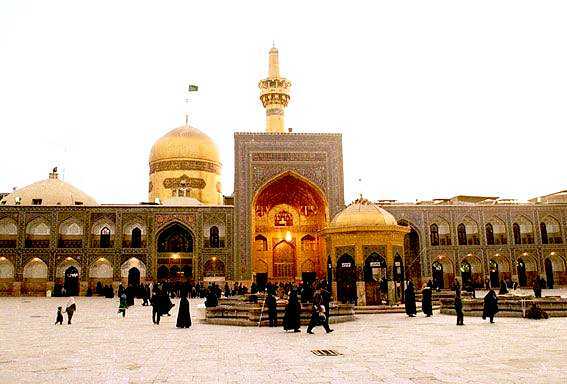 Three days after the thirteenth of Rajab, thirty years passed the year of the Elephat; Bibi Fatemah bint-e-Asad, came out of the same cleavage in wall which opened again and said: “I heared a message from the unsean to call him Ali”. Period of childhood: The Holy Imam Ali(a.s.) stayed with his parents. Since it was Allah’s(swt) will for him to gain more perfection, therefore, the honoured Prophet(pbuh&hf) from the beginning of his birth took care of his indirect education. Untill an unsual famine occurred in Mecca. Hazrat Abu-Taleb(a.s.) the uncle of the Prophet(pbuh&hf) having many children faced a heavy living expense. The honoured Prophet (pbuh&hf) with the consultation of his uncle Hazrat Abbas(a.s.), came to agreement that each one of them take one of the children of Hazrat Abu-Taleb(a.s.) with him as to make a relief for Hazrat Abu-Taleb(a.s.). Therefore Hazrat Abbas(a.s.) took Jaffar and the Prophet(pbuh&hf) took Imam Ali(a.s.) to his house. In this way the Holy Imam Ali(a.s.) was completely besides the Prophet(pbuh&hf). Imam Ali(a.s.) was always accompanying the Prophet(pbuh&hf) even when the Prophet(pbuh&hf) would leave the town and go to the mountain and desert. After the revelation of Allah(swt), the selection of the Prophet Mohammad(pbuh&hf) for prophethood and the three years of secret preaching, finally, the messenger of revelation arrived and the order for public preaching was given. In the last Year of the Prophet’s (pbuh&hf) life, after finishing the rituals of piligrammage and when returning in a place called the Khom pond close to Johfa , he ordered to stop, because the revelation commanded the Prophet(pbuh&hf) to complete his message. After the noon prayer the Prophet(pbuh&hf) went up the (mimbar) pulpit of the camels’ saddles and said: “O people, it is soon that I answer the call of Allah and go from among you. what do you think about me”. People said: “we witness that you have propagated the religion of Allah”. Prophet(pbuh&hf) said:” Don’t you witness that there is no God but the one God and Mohammad is his slave and messenger”. People said:”Yes, we witness”. Then the Prophet(pbuh&hf) raised the hand of the Holy Imam Ali(a.s.) and said: “O People! among the believers who is more worthy than them selves. People said : “God and his prophet know better”. Then the Prophet(pbuh&hf) said:” O People, Allah is my master, I am your master and of whomever I am the master and leader, Ali is his master and leader as well. And repeated this sentence three times. then the people congratulated this selection to the Holy Imam Ali(a.s.) and swore allegience to him. 1- Interpretation of the Quran, solving religious problems and decreeing the rule of incidents that didn’t have a resemblance along the 23 Years of the Prophet’s (pbuh&hf) life. 3- Expressing the rule for many of the new events which didn’t occur previously in Islam. The Holy Imam Ali(a.s.) was at his last moment of his life still thinking of the welfare and happiness of the peoples adviced his chidlren relatives and all the Muslims saying : I advice you of piety and to organize your deeds and always think of causing reconciliation among the Muslims. Don’t forget the orphans, regard the rights of the neighbours. Make Quran the practical programme for yourself. Respect (honour) praying because it is the pillar of your religion. 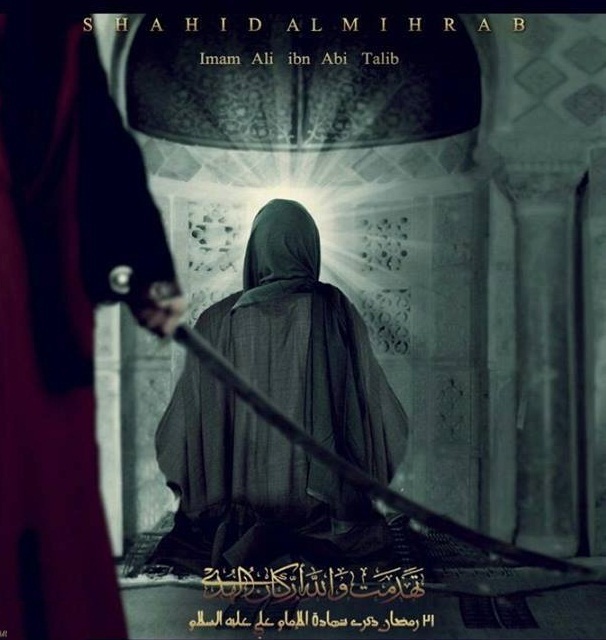 The Holy Imam Ali (a.s.) attained martyrdom on the 21 st of the month of Ramadan and was burried in Najaf in Iraq. His shrine became the tryst for the lovers of the truth and reality.